Because media IS life / looking for invisible spaces exploring 2.4 GHz radio spectrum / how does space develop context / the narrative aspect of space. Methodology: In this two day seminar, through theoretical lecture and practical exercises, students explored urban networked space. On the first day, students were given an introduction to history of radio, starting with its scientific development to the ideological divergences in early radio between free public use of the airwaves and its privatization/regulation. Various philosophical and theoretical positions involving definitions of space and the relation of media to urban space were introduced. 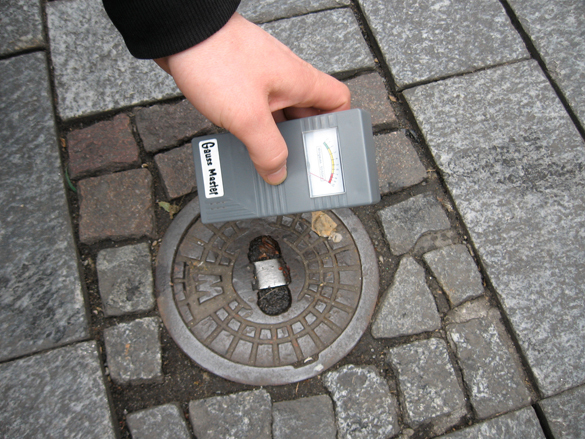 Students were then taken on an ‘urban data mining’ exercise throughout Cologne. 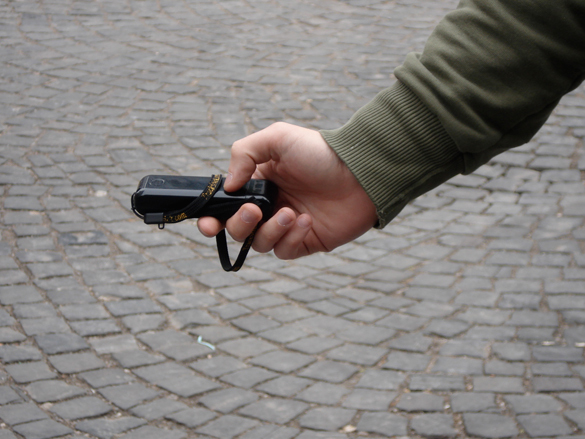 Carrying several video receivers, video cameras and a gauss meter, students were introduced to various methods for revealing different transmissions in the city and took on different roles of measuring, recording and documenting this information. Videos generated from the walk were immediately translated into a three channel video, presented in the workshop space. 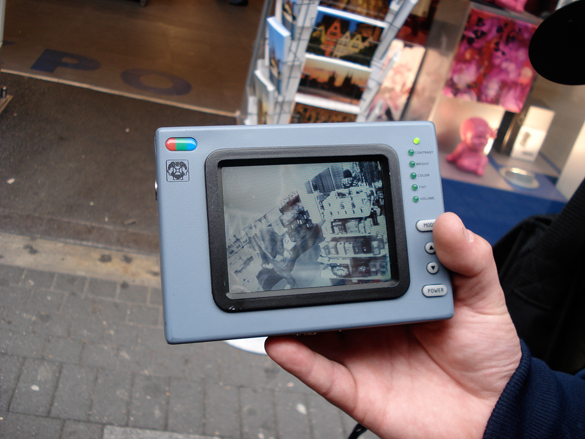 Two of the videos displayed impressions from the street and one a recording of wireless surveillance that had been intercepted during the two hour walk. 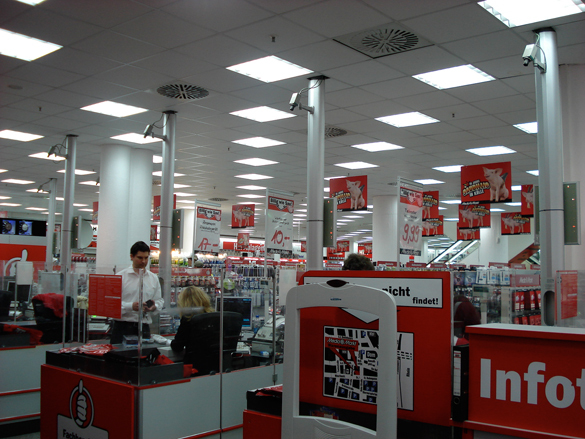 The fragmentary nature of the excursion was brought together by joining the multiplicity of urban experience, that involves information and physical place, onto one screen. Comments closed — Trackback URI RSS 2.0 feed for these comments This entry (permalink) was posted on Friday, February 27, 2009, at 2:01 am by admin. Filed in Teaching/Workshops.